Driving Under the Influence (DUI) of alcohol or a controlled substance is illegal in every state. Anyone convicted of a DUI could face serious legal consequences. DUI laws vary from state to state but the most common laws are the same. Every state has a BAC (Blood Alcohol Concentration) level that drivers cannot exceed. The most common broken DUI law is driving while above the legal limit. Most states enforce a .08 BAC for drivers operating a motor vehicle. The most common BAC level for anyone operating a commercial vehicle is .04. It is illegal for minors to consume alcohol, regardless if operating a vehicle, or drinking alcoholic beverages inside their home. Some states set a legal BAC limit for drivers under the age of 21. A driver caught driving above the legal limit will face a DUI and could immediately go to jail. Other common broken DUI laws include open containers and repeat offenses. It is illegal in 43 states for a driver to have an open (unsealed) container of alcohol in their car. This law prevents drivers from consuming alcohol while driving. If a driver stopped and a police officer finds the open container, the driver possibly fined. A majority of DUI cases involve drivers who convicted of one or more DUI's. Believe it or not, this is common. Drivers who have had their license suspended because of a DUI prohibited from driving period, sober or not. Breaking these common DUI laws could lead to jail time, fines, license suspension, and community service. Some states even require drivers to install an ignition interlock device to their dashboard. This device will prohibit ignition from starting, unless driver breathes into breathalyzer and records a BAC below the legal limit. If you break one of these laws, use common sense and contact a DUI attorney in your state, city, or county to fight for you in court. DUI/DWI Laws across the US are the same but each state has their own penalties. High court fees, losing drivers license, alcohol classes and ignition interlock devices are some states ways dealing with stubborn drivers. Many don’t realize that driving under influence cover more than just consuming alcohol. You can face DUI charges for an abundance of any controlled substance in your system. 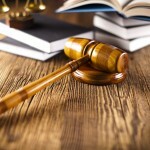 DUI/DWI laws are different in each state, so make sure to check out DUIAttorney.com to find the local laws. Many states differ in the lengths of license suspension after the first conviction. Every state carries the standard 0.08 percent BAC for drivers 21 years old and older. Law enforcement officers may confiscate vehicle tags as a way to punish drunk drivers. The liability charges and criminal penalties are very steep for drunk drivers that cause accidents. You can avoid all those penalties and other steeper ones just by not drinking and driving. Many states have mandatory substance abuse programs for DUI/DWI offenders to prevent multiple offenders. The use of ignition lock devices is increasing. These devices placed in offender's cars. They require the driver to blow into the device under the proper BAC limit before the car will turn on. Repeat offenders receive stiffer penalties in most states as well.